The DIENES MultiMode® stands for high flexibility and easy scalability. Customers worldwide rely on customized solutions for demanding tasks. Starting from thread run studies on coating facilities to complete pilot installations can be implemented efficiently also to your task with the DIENES MultiMode® system. Numerous modules are ready to be combined and implemented for your custom solution. Inform yourself about the benefits of DIENES MultiMode® - the modular system for your success. Simply expand existing DIENES MultiMode® configurations with additional functionalities. Through standardized interfaces, new modules are recognized automatically. Integrate new features for your process. DIENES MultiMode® modules are equipped according to customer request and process requirements with a variety of sensors. Through the incorporation of measurement data a targeted analysis of all processes in the overall process is made possible. All DIENES MultiMode® modules have an independent local control. In connection with a DIENES visualization unit all process-relevant data is graphically available for the user. 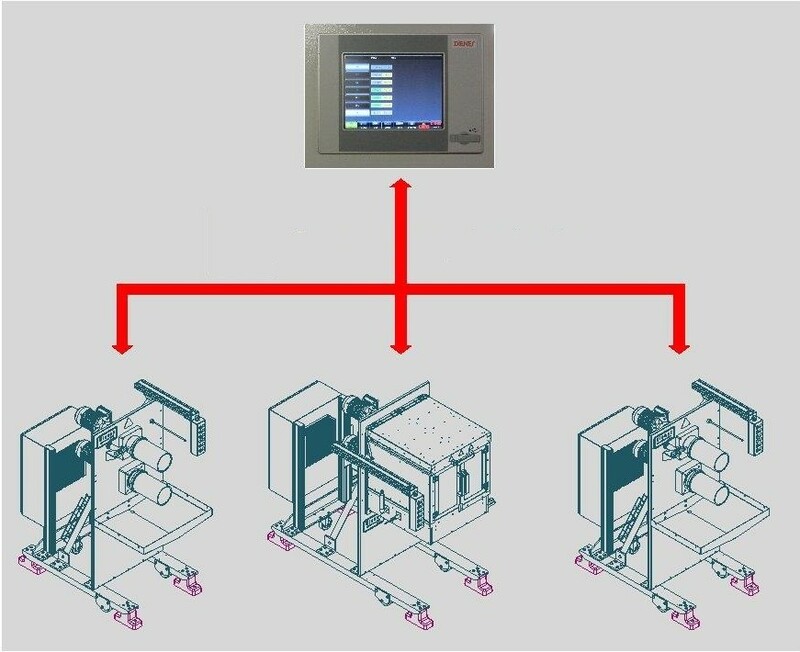 Changes in the process can be made effectively by entering data via touchscreen. Through the combination of several DIENES MultiMode® modules and the integration of a MultiMode® Master (MMM), all local controls are displayed in a central control panel. The graphic representation on a large 10.4 '' touch display enables a convenient overview of all interconnected MultiMode® modules, and an easy setting of all relevant parameters. For the analysis of complex relationships to carry out process analysis the MMM is getting extended by a DIENES MultiMode® Explorer (MME). From system expansions to process development - customized process control systems for your application. DIENES MultiMode® installations allow a high degree of flexibility in process development. The consistent implementation of the modular design is continued in the control environment. 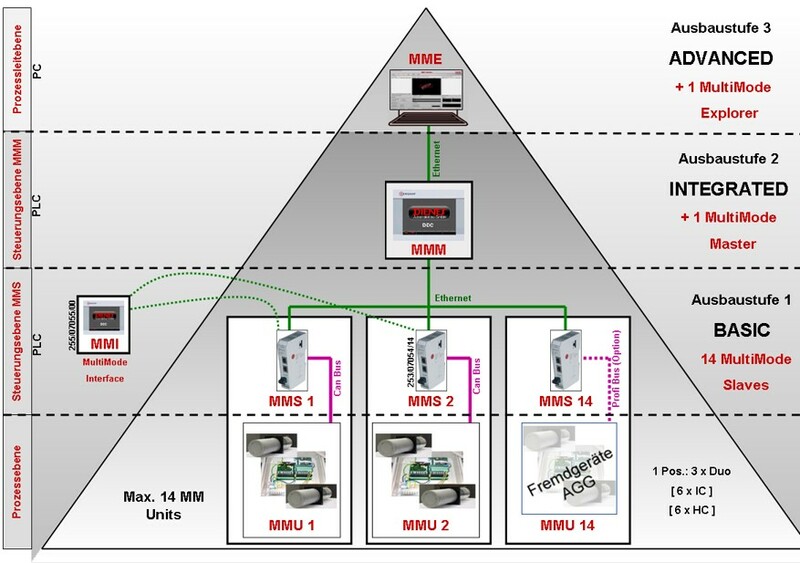 Each MultiMode® module communicates via a standardized interface to the central controller, the so-called MultiMode® Master (MMM). Changes in the module assembly are automatically detected and entered by the system. For optimal processes the control data is synchronized on request by the MMM, so you can put your focus entirely on your development process. DIENES MultiMode® is ready for your applications.